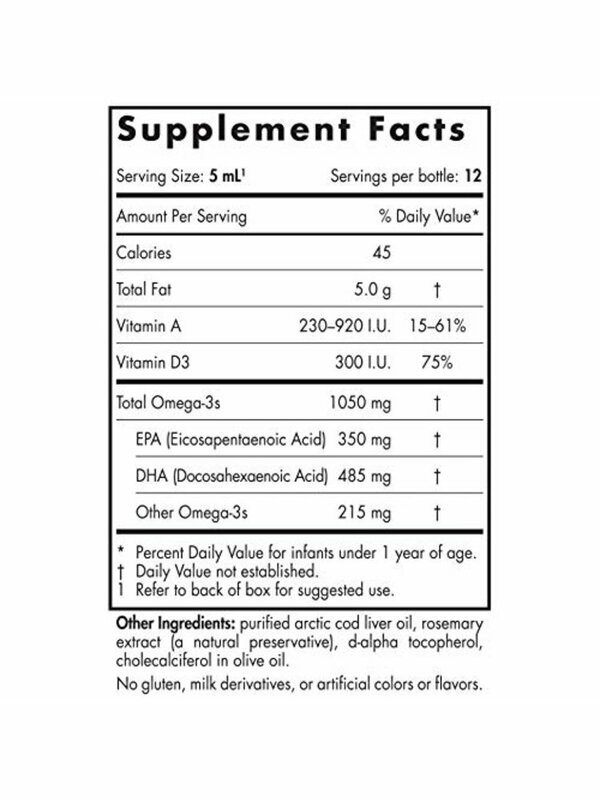 Review Nordic Naturals Baby's DHA, 2oz. 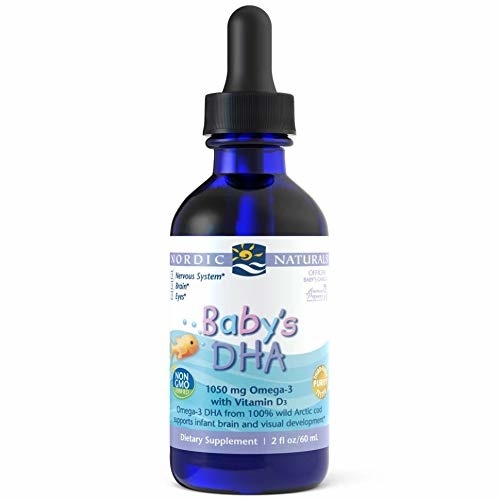 Home Nordic Naturals Baby's DHA, 2oz. Nordic Naturals Baby's DHA, 2oz. HELP YOUR BABY GROW STRONG - Made exclusively from our Gold Standard Arctic Cod Liver Oil, Nordic Naturals Baby's DHA is the Official Baby's DHA of the American Pregnancy Association. Great for babies 5-35 lbs and is a safe and effective way to help ensure that growing babies get the DHA they need for healthy development. Help provide your child with the nutrition they need during those important early years of cognitive growth. BENEFITS OF OMEGA-3S - Essential fatty acids like DHA and EPA promote cardiovascular and respiratory function, support brain health, and promote joint flexibility. All very important for growing babies. 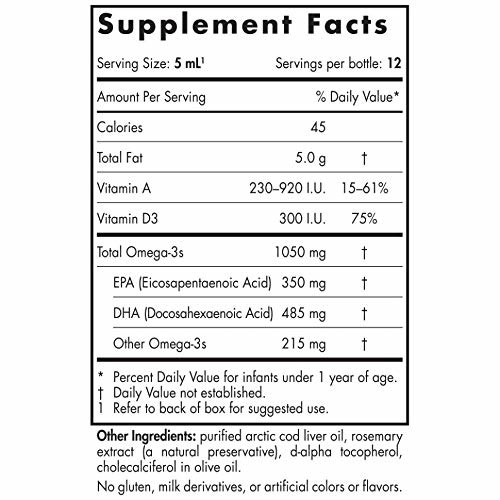 Nordic Naturals Baby's DHA has 1050 mg of omega-3s per serving, including 485 mg of DHA and 350 mg of EPA. THIRD PARTY TESTED FOR QUALITY - Like all Nordic Naturals fish oils, Baby's DHA is third-party tested and surpasses strict international standards for purity and freshness through our patented nitrogen processing. You can feel confident your child is getting high quality nutrition. Testing also ensures they are free of harmful heavy metals and toxins. WILD CAUGHT AND SUSTAINABLY SOURCED - Every batch of Nordic Naturals fish oil is crafted from wild-caught, omega-rich fish from the freshest catch, sourced from the cleanest waters, and only in a way that fully protects the ocean's fragile ecosystem. Even better, our products have no artificial colors flavors or preservatives. They are also gluten free and milk derivative free. CORRECTING OMEGA DEFICIENCY WITH QUALITY - At Nordic Naturals we believe that omega oils are essential to life. 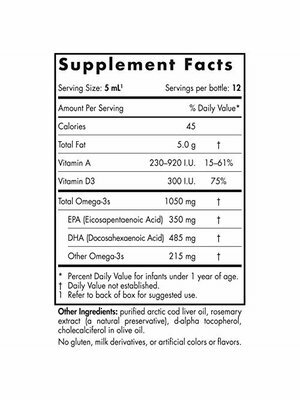 By correcting the global omega-3 deficiency, we give each generation what they need to grow healthy and strong. Through science and innovation, we are committed to delivering safe, effective omega oils. 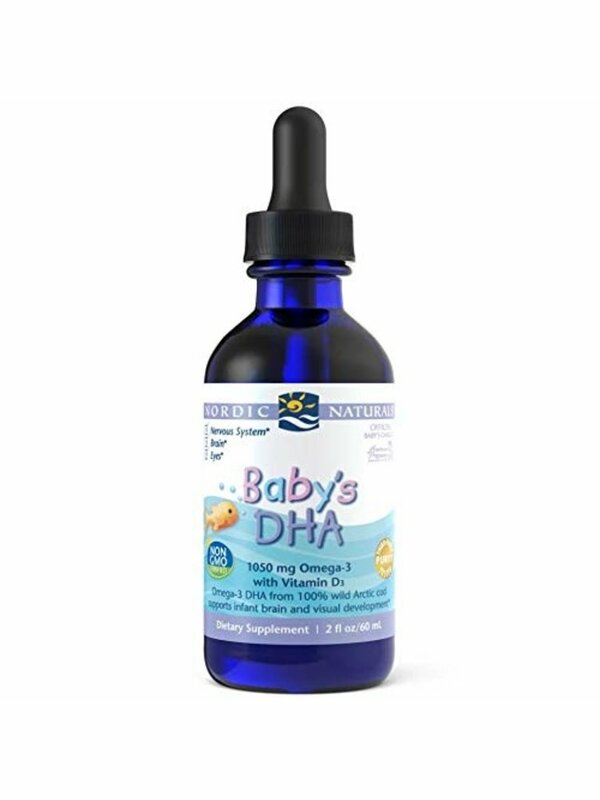 Baby's DHA is a great start to supplement diet for optimum growth and wellness.